Brew tea in teapot for 3 minutes. Chill the tea and wait till it cools at room temperature. Pour all ingredients into shaker; shake it dry without ice to make egg white balance well with all ingredients. 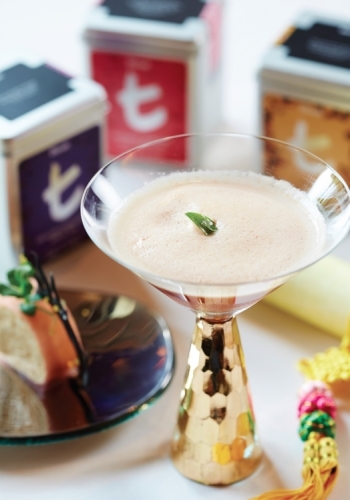 Pour into chilled martini glass and serve.